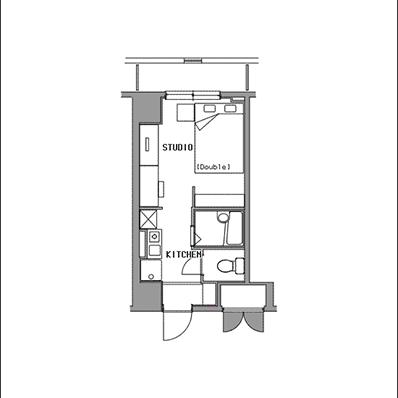 Compact studio, work desk, double bed. 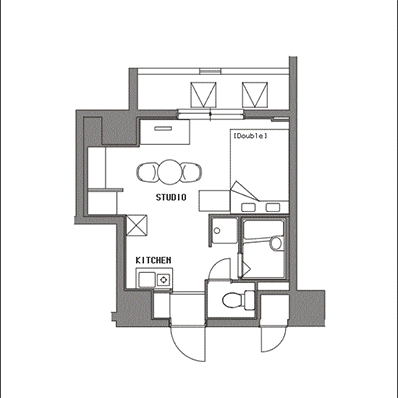 Room in Tokyo B-SITE Nihombashi Ningyocho, furnished serviced apartments. Ningyocho is known as part of Tokyo's 'Shitamachi', or historical center. 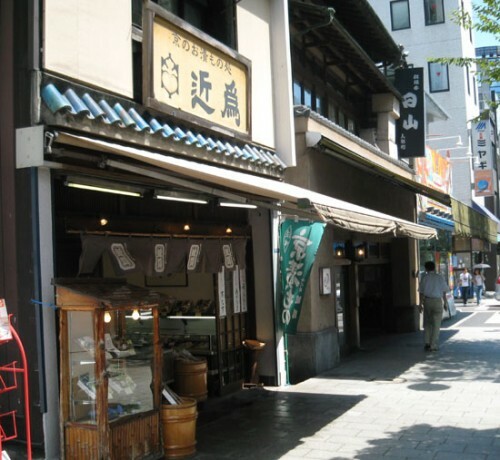 While only minutes from the modern office/hotel/shopping area of Nihombashi, the immediate vicinity of this B-SITE Nihombashi Ningyocho offers a plethora of traditional shops and delicious Japanese home cooking. 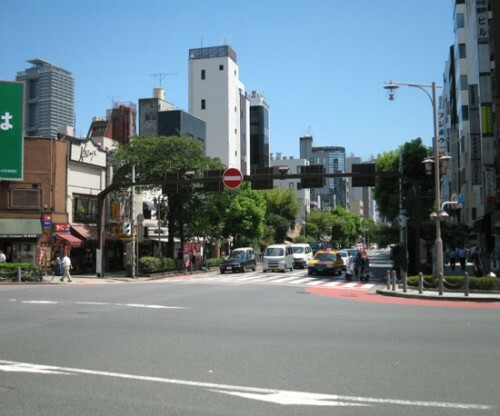 Great access to Roppongi and other central locations. 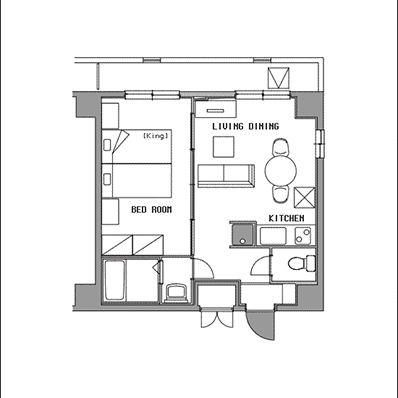 Furnished Apartments range from compact studios to very spacious one bedrooms. On the first floor, our service staffs are available to assist you. high-speed Internet (WiFi), cable TV w/English news & movies, 24HR free bilingual telephone Hotline, 24HR security system *Other optional services available upon requests. 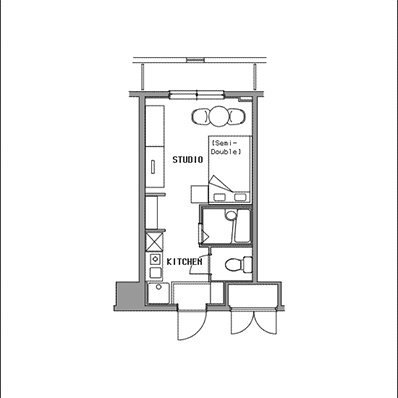 This compact studio has custom-made furniture for an efficient use of space. Features a semi-double bed, dining table for two. This compact studio has custom-made furniture for an efficient use of space. Features a double bed, work desk. This large studio has custom-made furniture for an efficient use of space. Features a double bed, dining table for two, and gets good light. 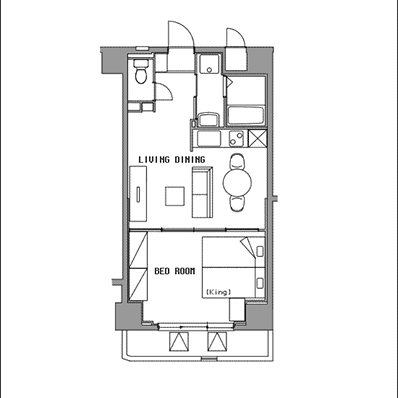 This large, corner one-bedroom has a very spacious kitchen, dining table for two, and a large king size bed. Only 3 of these in the building, they are all of the top floors and get great light. 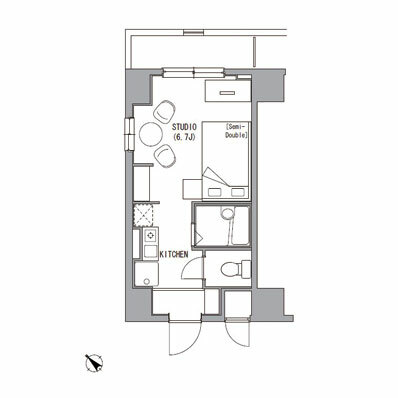 This large, corner one-bedroom has a very spacious kitchen, dining table for two, and a large double bed. There is also a separate work desk in the bedroom. 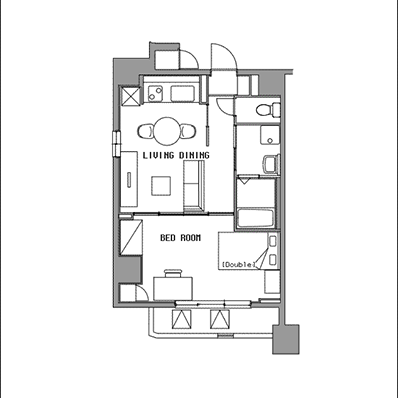 This large, one-bedroom has a very spacious kitchen, dining table for two, and a large king bed or twin bed. 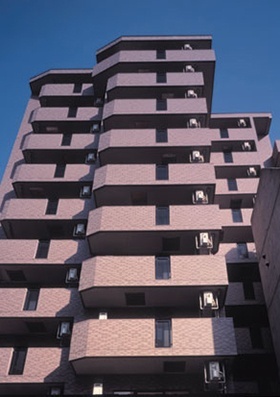 B-SITE Nihombashi Ningyocho is only 3 minutes from Ningyocho Sta. 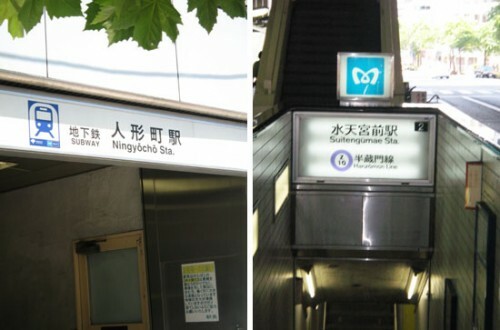 on the Hibiya Line (access to Ginza, Roppongi, Kamiyacho, etc.) and Asakusa Line (access to Asakusa, Haneda Airport, Shiodome, etc). It is also 8 minutes from Suitengumae Sta. on the Hanzomon Line (access to Shibuya, Jimbocho, etc.). Ningyocho is a historic area of Tokyo filled with traditional shops and restaurants. There are not so many very tall buildings in the immediate vicinity so you will also get good light and can enjoy the night sky. Living in Ningyocho will give you the opportunity to visit some of the many traditional shops and restaurants that line the streets. Try on of the local delicacies, Ningyo Yaki! 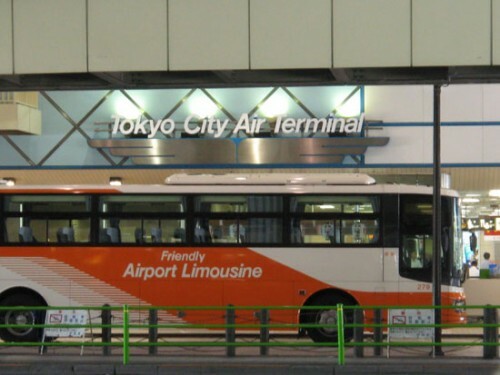 The Tokyo City Air Terminal (T-CAT) is an airport terminal with Limousine Bus service to both Narita and Haneda Airports. 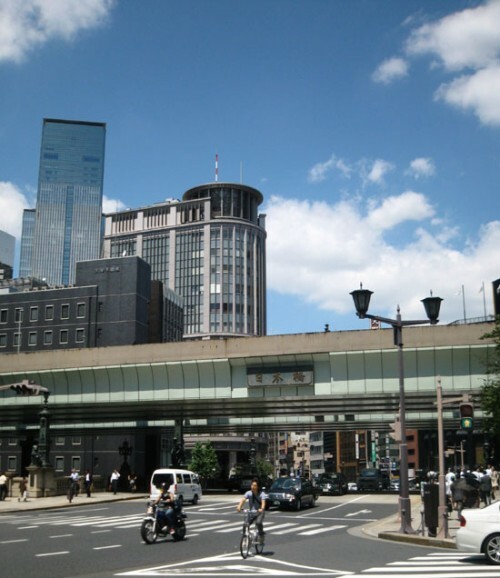 It is only 8 minutes walk (or a quick taxi ride if you have luggage) from B-SITE Nihombashi Ningyocho, so you would have quick access to the airports. 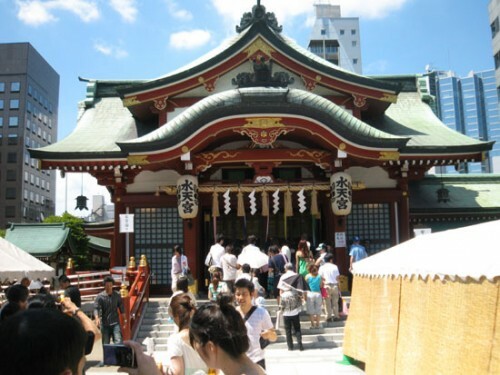 Suitengu is a Shinto Shrine that lends its name to Suitengumae (translates as In Front of Suitengu) subway station. It has classic architecture is a stark contrast to the glass and steel buildings surrounding it. Nihombashi translates as the Bridge of Japan. This bridge has historically been know as the very center of Tokyo and all distance from the city are measured from this point. Today it is an important business and shopping district, and the bridge itself is unfortunately covered by a freeway overpass. 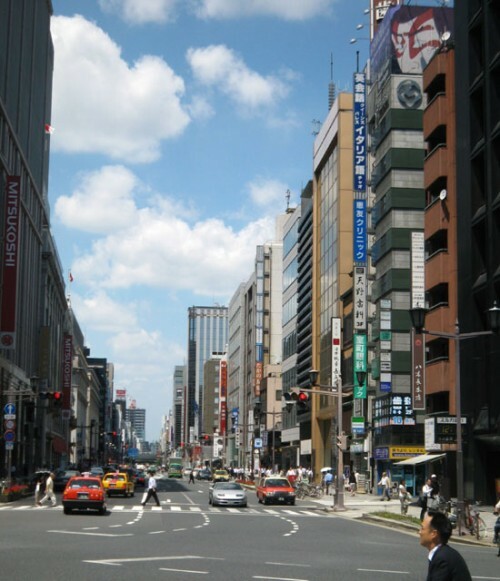 The Nihombashi district is a continuation of Ginza Avenue (also known as Chuo Avenue). It makes for a terrific walk all the way down to Ginza for great shopping and eating. Hi! I'm Atsumi. Ningyocho is a terrific, traditional Japanese neighborhood. We the service staffs are stationed on this building's first floor, so please come talk to us if you have any questions!